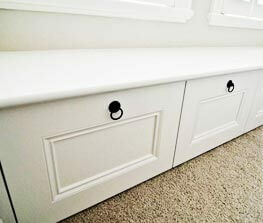 Are you in need of long-lasting, modern, and functional kitchen improvements? Committed to helping our customers realise their vision for their kitchen the team at Barracuda Kitchens use innovative and methodical techniques to bring out the full potential of your kitchen space. 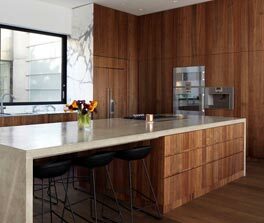 Our specialisation in improving kitchens has helped Woollahra residents and beyond get the most out of their kitchens once we have completed the project. 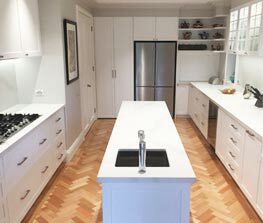 Committed to providing a comprehensive and reliable kitchen renovation and rebuild experience the knowledgeable and professional team at Barracuda Kitchens can deliver bespoke, durable, and eye-catching joinery products and solutions to Sydneysiders throughout the Woollahra region. Available in a number of species and treatment styles our timber joinery can be the missing piece to your kitchen space. Are you in need of innovative and reliable home storage solutions that can be seamlessly installed into your existing or new kitchen environment? 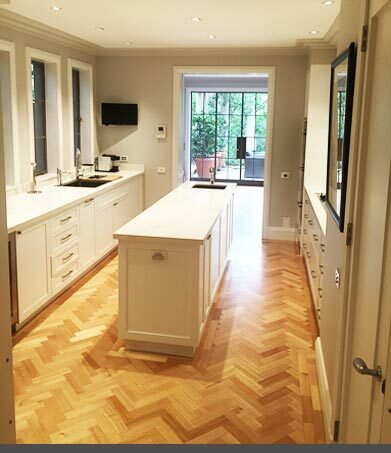 At Barracuda Kitchens our knowledgeable and skilled cabinetmakers have designed and built customised and precise cabinets, wardrobes, and cupboards. 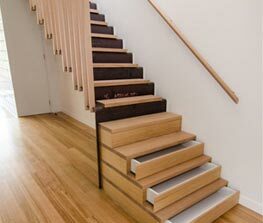 For more information about our exceptional cabinetmakers Woollahra residents and others across Sydney can contact us today on 0430 323 628 or info@barracudakitchens.com.au.